Lake Front cottage on chain of three great fishing lakes. 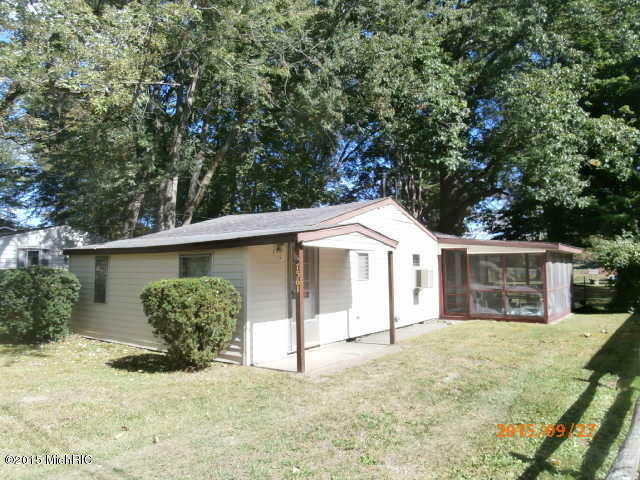 Meticulously maintained 2 Bedroom/ 1 Bath ranch. cottage features knotty pine interior, large kitchen, separate dining area and great view from living room. Lots of storage in two additional rooms and storage building. Also enjoy lake living from the attached screened-in porch. Huge oak trees in yard keeps cottage cool and provides lots of shade from the summer sun. Appliances and most of the furniture included or negotiable with the sale. Immediate Occupancy!